Researcher’s Corner: Who’s Retiring From Library Work, and Who Isn’t ? The myth of the tidal wave of retiring librarians is pervasive and persistent (for example, see this recent Public Libraries article about mentoring Gen-X librarians). But is there a grain of truth? I’m happy to introduce this piece by Eric C. Shoaf, in which he takes a deeper look at what exactly is happening with those boomer librarians, what this means for recent graduates, and how it affects the profession as a whole. During 2012, Nathan Long and myself conducted a study on the retirement plans for library workers. Nathan, currently Head of Systems at Francis Marion University Library, and I had known each other for several years and wanted to collaborate on a research project. At first we looked at several aspects of librarianship where we had mutual interest: skills training to learn new technology, career arc choices related to family and work/life balance, effects of a mature workforce in libraries, and impacts on early career librarians entering the field. There were a couple of false starts in the study as we tried to hone the direction. Especially when looking at skills and experience of early career librarians, we weren’t sure we could get the data needed for analysis. Then Nathan found the Colorado study that ended up being the catalyst for our own survey (Retirement, Retention, and Recruitment: The Future of Librarianship in Colorado ) because it had data from a decade earlier that we could compare, and also because we could use some of the same questions they used in order to collect comparable data in our own survey. Because of our experiences attending succession planning programs at ALA, reading the library literature, and discussions about imminent retirements expected in the library profession, we decided to focus on whether or not it could be determined whether there is about to be a large-scale retirement boom among library workers. This is important for a number of reasons. There is evidence that new MLS graduates have difficulty finding jobs, and that as libraries currently do have job openings, whether due to retirement or not, they sometimes look for different skill sets to fill evolving needs. Many of these new skill sets are found outside those possessed by traditional library workers. It seems that we have been hearing anecdotally about impending library retirements since the 1990s. Given that Nathan and I already had data from the Colorado study that was almost ten years old, and that the data showed that 20% of the 1,400+ respondents intended to retire in the next five years, which would have been around the time of the economic downturn in 2008-09, we wanted to try and determine on a national level library worker retirement intentions in 2012. And since the Colorado survey had happened well before the economic downturn, one of the things we were interested in was how much the downturn might have affected library worker retirement plans because of the pervasive negative effects it had on savings and retirement funds, and long-term concerns generally about the viability of the economy. The literature review we conducted focused on recent reports in all types of media, many outside library literature and validated our idea that library workers may not be planning to retire as expected. There were a number of articles about heavy retirement fund loses from the economic downturn and predictions this would affect all segments of society and all businesses and institutions, including higher education, as well as tax-funded spending that includes public libraries. Some of the warnings were rather dire about the ‘baby boomer’ population’s lack of financial readiness for retirement. At least one report cited mature workers who said they did not think they would ever be able to stop working and retire. This was, for us, an indication that there had been a fundamental change because of the economic climate, or because the reality of retirement financing becomes clearer as retirement age approaches, or both. Our survey was much shorter than the one used for the Colorado study. Knowing that people receive any number of survey queries every month, we wanted to use an online survey that would be relatively easy and painless to fill out. Hence, ours had only thirteen questions and all were geared to uncovering data about retirement planning as well as some demographic information. This is probably why our response rate was so high (4,400+ responses to the survey). In fact, we were quite overwhelmed with the response. On the other hand, we probably spent more time than most who circulate these sorts of surveys, actively publicizing it in a variety of venues and working to identify and notify state library associations in all regions of the country. I number of people sent personal email asking to be notified of the results of the survey. Certainly, it was all rather gratifying and made us feel that we had pinpointed an issue that a lot of library workers are thinking about. Neither were we surprised by the results. Nearly half of the survey respondents indicated that the latest economic downturn had affected their career plans and would lead them to retire later and/or stay in their current job, which is a significant increase over the eleven percent from the 2003 Colorado survey. The strength and duration of the 2008-09 economic downturn has both surprised and deflated workers’ retirement accounts and their plans including library workers. The survey shows that library workers not yet close to retirement age are planning to work longer. At the end of our article we ask the question, Is sixty-five the new fifty? We included that because one of the highlighted trends of the baby-boomer generation has been a focus on living longer, refusing to “get old” in demonstrable ways, and we think that will extend to delayed retirement among this group as well. On the other hand, nearly 40% of the survey respondents indicated that the economic downturn had no effect on their career plans. What the results of the 2012 survey mean for the library profession and for job seekers is not completely clear, and the news may not be all bad. Technology and other changes have already been driving the need for new skill sets in new types of library jobs for almost a decade. This is not expected to change. A maturing workforce that is not ready to retire is likely to reduce the number of new positions that are available, but it may not be appreciably different from the present. According to some past predictions, those library workers were to have already retired by now, but didn’t, and there are still jobs available. What is more likely to change is the type and character of jobs available, with new skill sets continuing to be needed in evolving library technological environments. Expect more mature workers to seek part-time employment as an option to full retirement. For two former full-time jobs that become part-time, one new full-time job can be created. Job seekers should also remember that despite national surveys, purported trends, and a sometimes bleak economic outlook, job offers happen at the local level, and it only takes one to secure employment. The full article on our survey and analysis was published as Shoaf, Eric C. and Flowers, Nathan. “Library Worker Retirement Plans: A Large Survey Reveals New Findings” Library Leadership & Management (Vol. 27 no. 4) Fall 2013, and accessible here http://works.bepress.com/eric_shoaf/8/ . Eric C. Shoaf received his BA from Duke University, the MLS from North Carolina Central University, and an MPA from the University of Rhode Island. 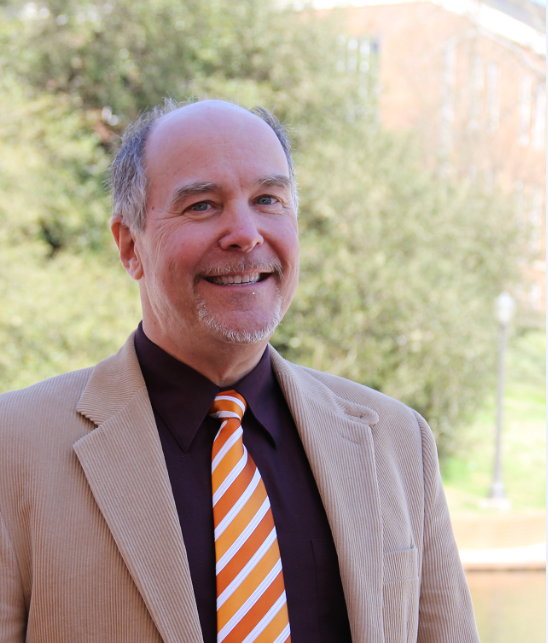 He is currently Associate Dean of Libraries at Clemson University.